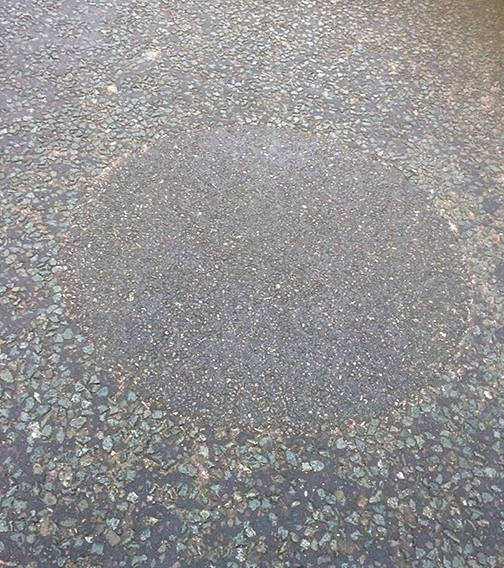 Road Mole’s cost effective approach performs a durable & permanent repair lasting until the road requires a complete resurface, this saves the country billions of pounds in resurfacing roads before they are due. 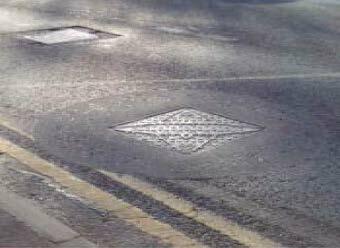 As the damaged area is removed, this will ensure the new road surface does not have any underlying defects which can cause potholes in time. 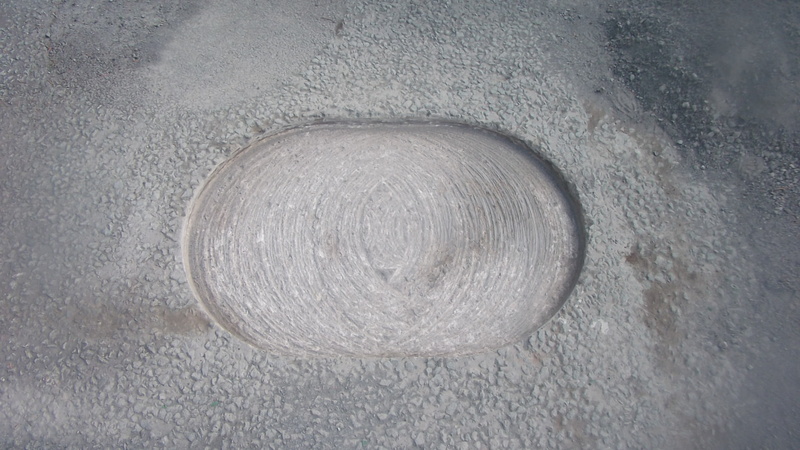 Precision cut circle cavity enables an equal density compression of asphalt, therefore will not require repeated visits to fix the repair. 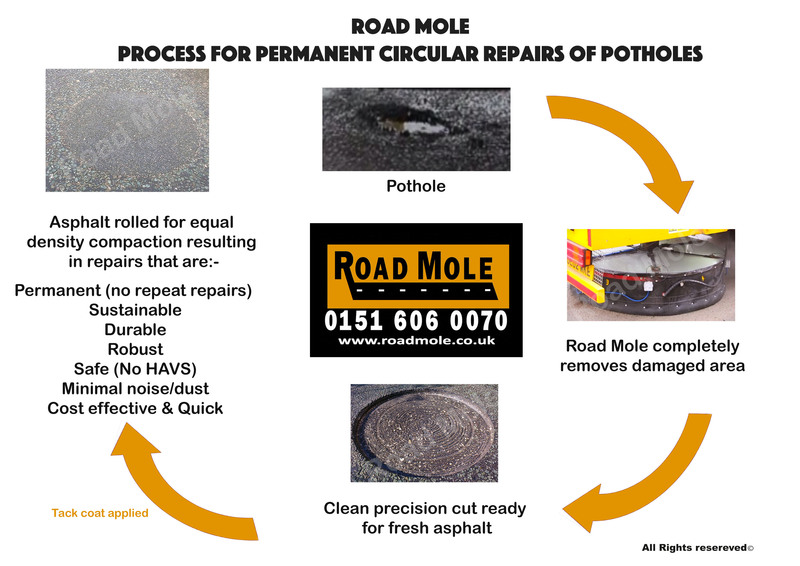 Road Mole repairs alleviate insurance claims from road user accidents caused by potholes, saving the country billions of pounds. 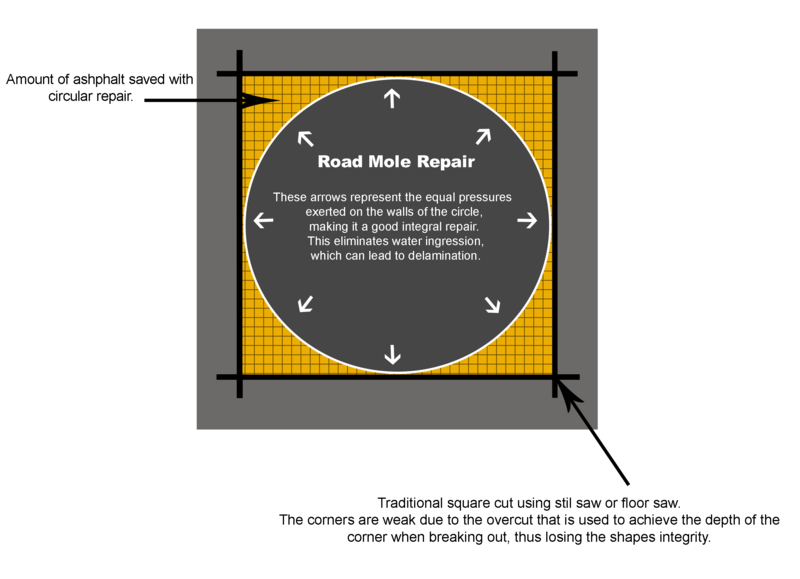 Road Mole’s method of repair ensures the safety of the operators by eliminating the use of vibrating tools for potholes. The prolonged use of tools can cause HAVS ( Hand Arm Vibrating Syndrome) which is a debilitating condition that can result in insurance claims. The minimal noise and dust factor will elevated loss of hearing and respiratory claims. The diagram below shows the amount of asphalt that can be saved using circular Road Mole repairs compared to the traditional. 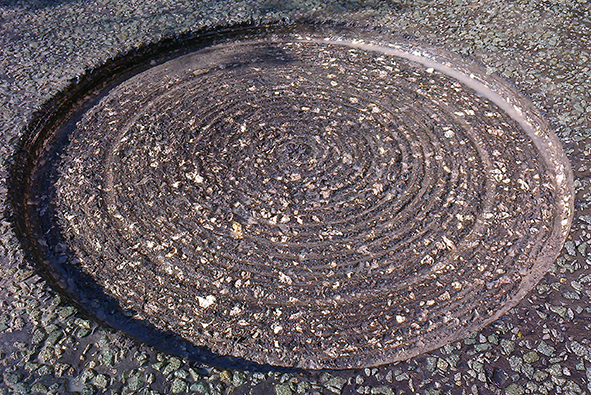 It also shows the equal density that is exerted on the circular repair. 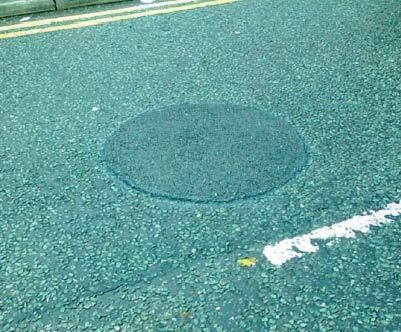 There is a saving of 2m³ of asphalt per 100m² pothole repairs.